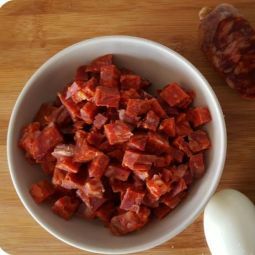 The Spicy Chorizo Extra is an excellent example for the high quality charcuterie of the region of Leon. 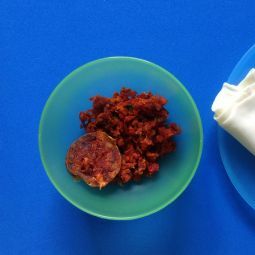 It is made of pork and it has the perfect hot and spicy point. 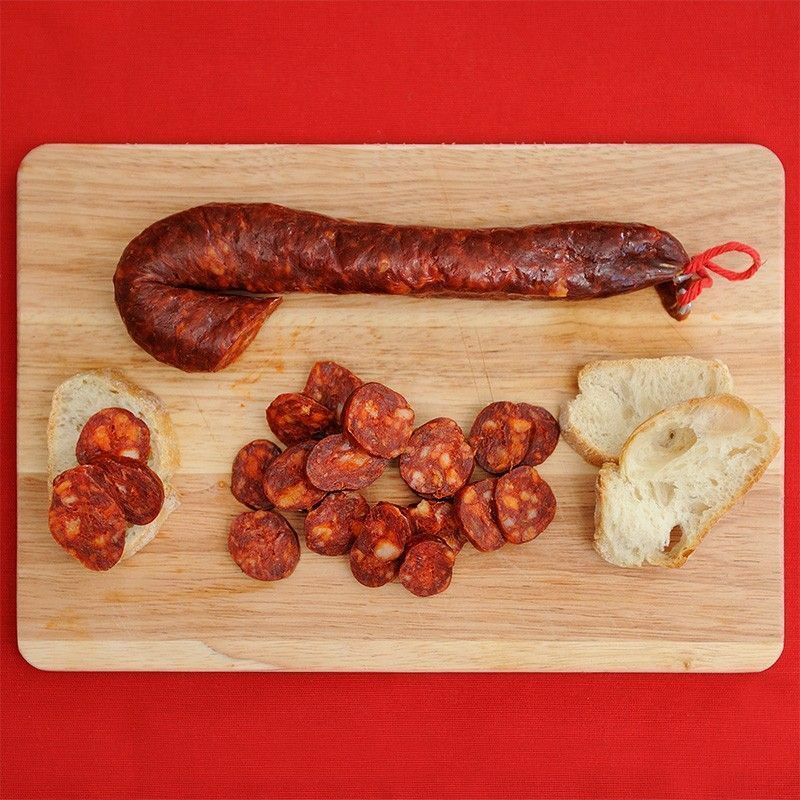 The Spicy Chorizo Extra is air dried and shipped in whole piece. 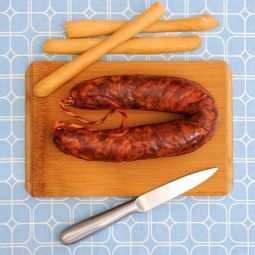 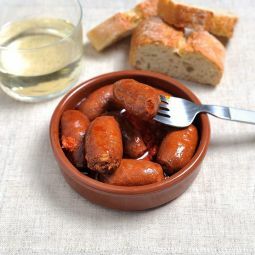 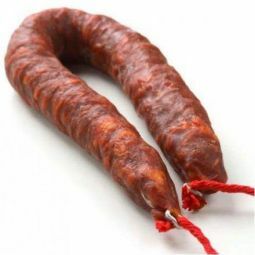 It is made with high quality meat from Leon and this tasty chorizo is a good example of the great charcuterie products of the region of Castilla Leon. 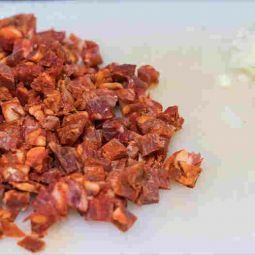 Our Spicy Chorizo Extra is a craft product. 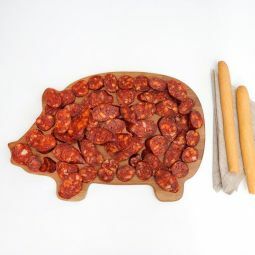 The chorizo is air dried and maintains its juiciness. 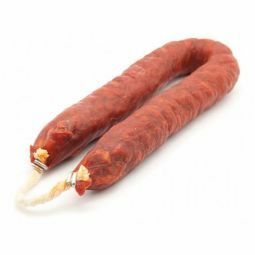 It is characterized by the reddish colour, the great taste and the ideal hot and spicy point. 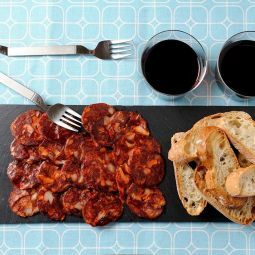 Enjoy our Spicy Chorizo Extra as appetizer or in a sandwich. 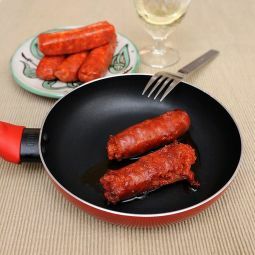 Besides you can give your homemade dishes a hot and spicy touch.